This entry was posted on Tuesday, March 24th, 2009 at 12:02 am	and is filed under Uncategorized. You can follow any responses to this entry through the RSS 2.0 feed. Both comments and pings are currently closed. Owie… So has Fumo gotten a new trial yet because of the twit on the jury … er, I mean the juror who was twittering? 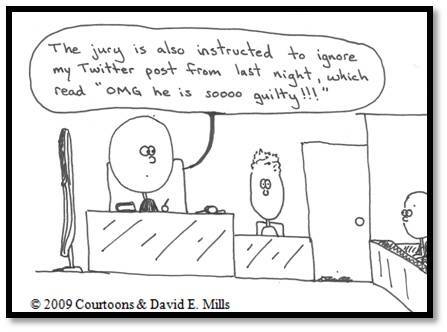 Great cartoon and very applicable in light of recent mistrials when jurors were found to have twittered about the trial.